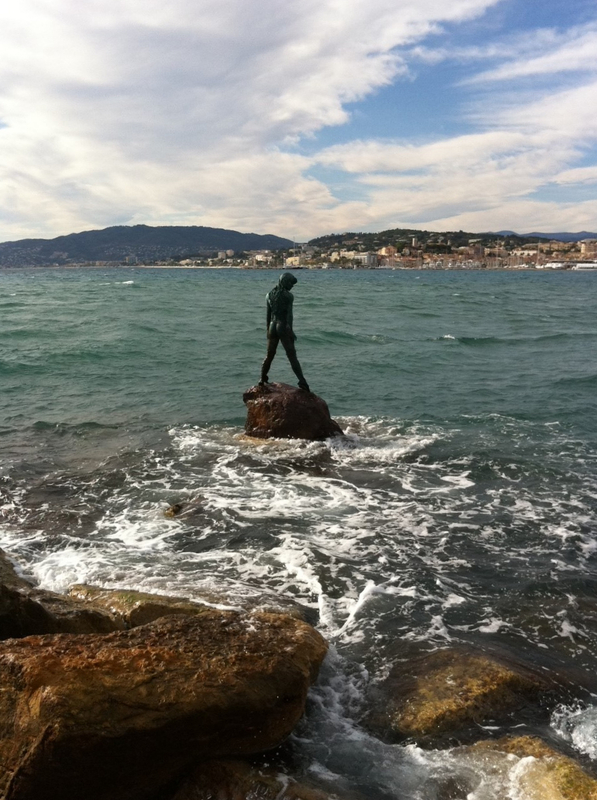 ‘Atlante’ Mermaid Statue in Port Canto, Cannes. Photo © by Amaryllis. 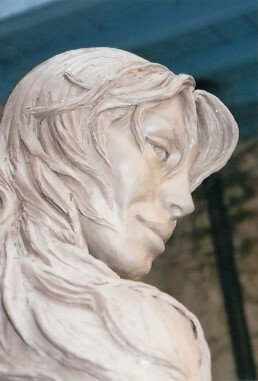 She was created by French sculptor Amaryllis, who granted an interview in March this year. “Atlante was placed in Cannes in the year 2000. She is a mermaid who has come to us out of the sea at the turn of the century. She considers the losses of the last century and looks into the new century. She is strong and brave, and determined to face the coming storms and to help us undo the damage caused by the poisoning of the oceans and the senseless hunting that threatens many marine species. 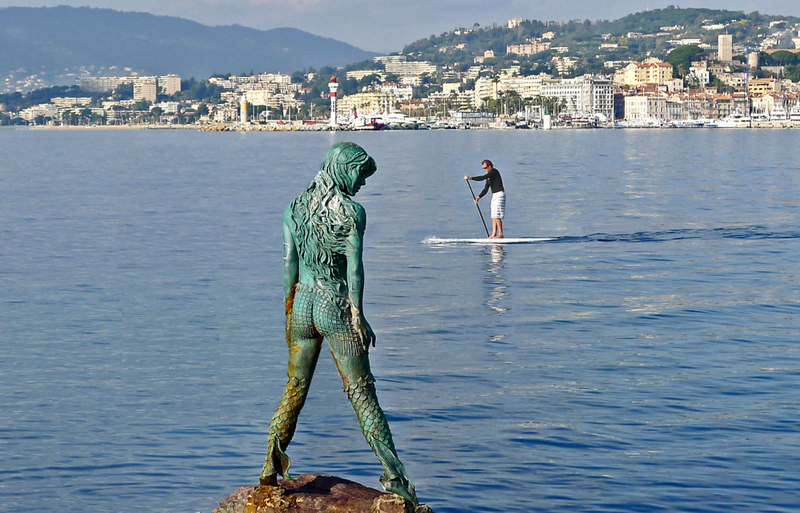 She is the only sculpture to have been allowed in the waters of the port of Cannes. “Like most of my mermaids she has legs, and is not the usual mermaid with a tail (or two). She is out of the water and is adapted to this environment while she is here, but she still retains mermaid characteristics, such as the scales and vestigial fins, and attire that is clearly of the sea. 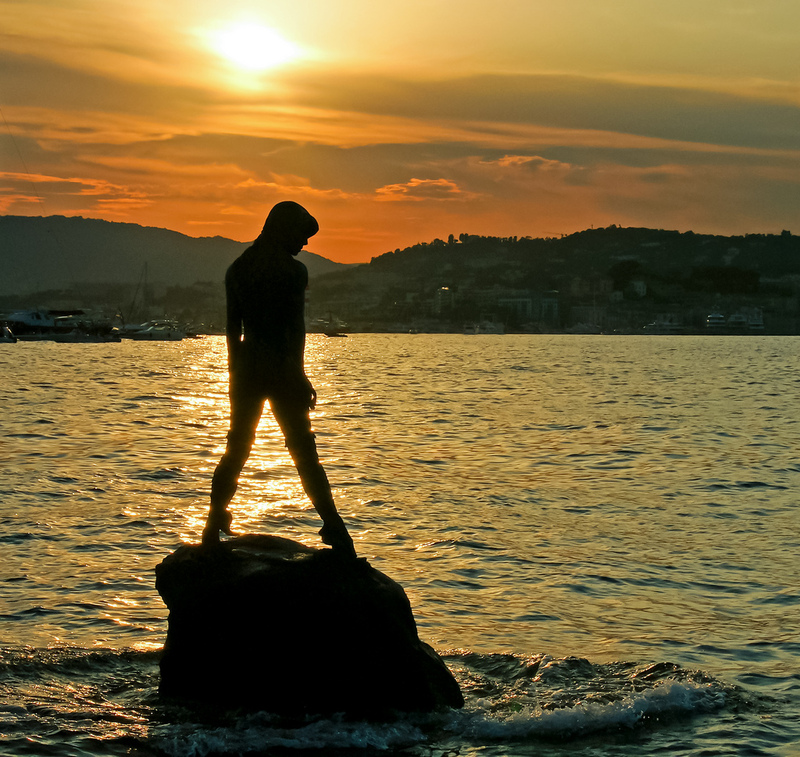 The ‘Atlante’ statue is lifesize ( 5′ 10″ ) and is located on her own large rock just off the end of the pier. 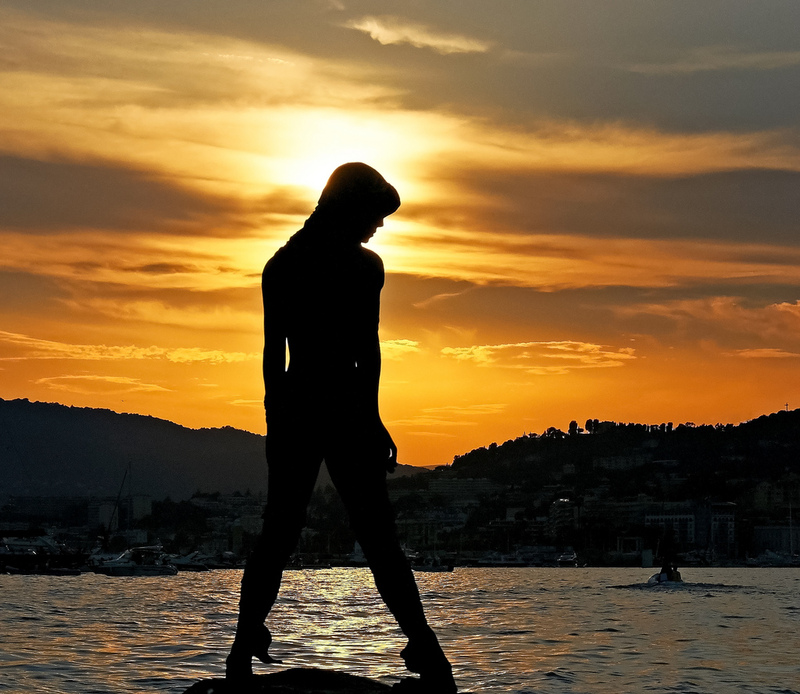 She is also referred to by locals as Amphitrite (Queen of the Seas and wife of Poseidon in Greek mythology). 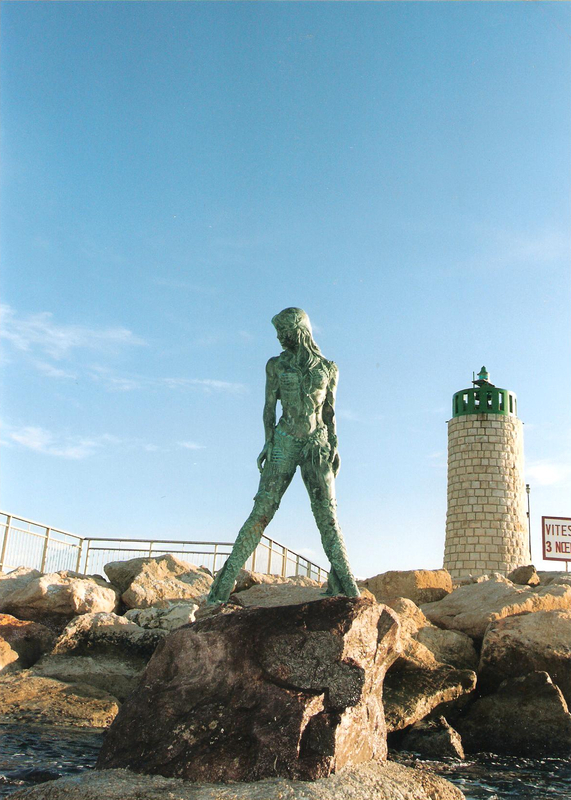 See also the other mermaid sculpture named Amphitrite on Grand Cayman Island. 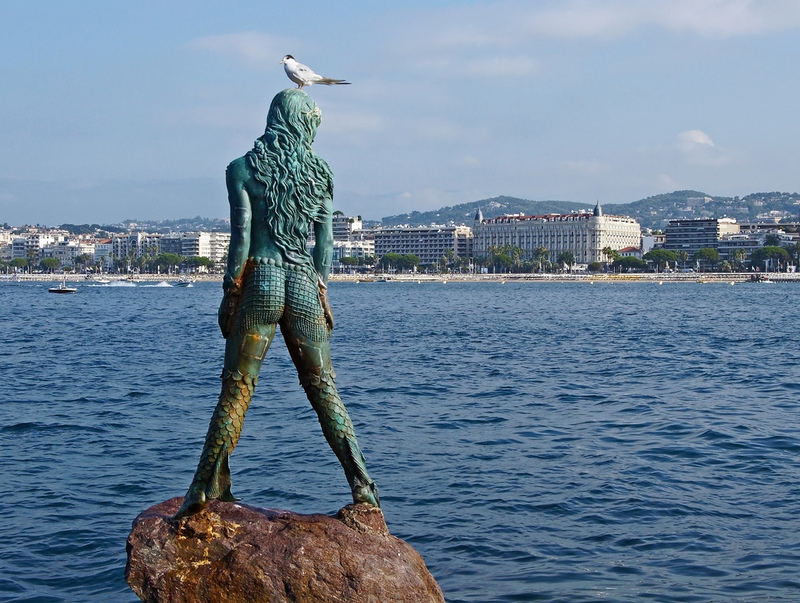 With her message of ocean and nature conservation, the ‘Atlante’ mermaid statue is part of a strong movement for preservation of our natural resources. Amaryllis sculpting the Atlante statue. Photo © by Amaryllis. 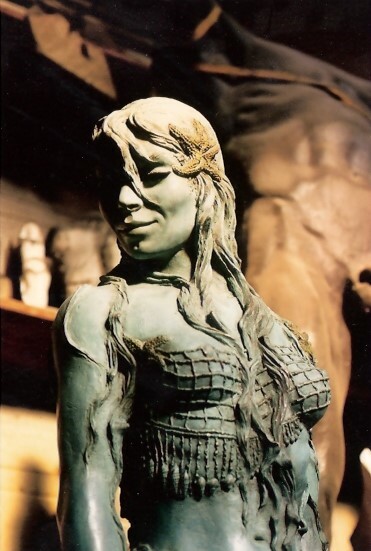 ‘Atlante’ Mermaid Sculpture original. Photo © by Amaryllis. 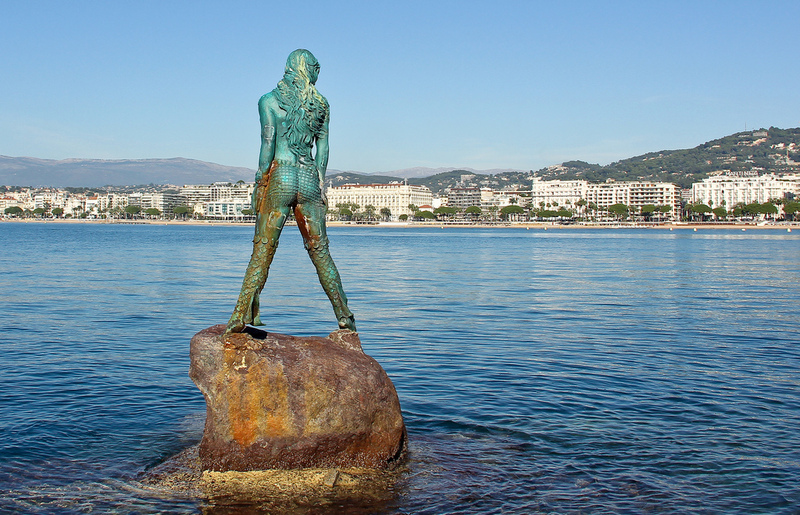 The Atlante ‘Amphitrite’ Mermaid Statue in Cannes. Photo © by Jean-Philippe Chevreau. 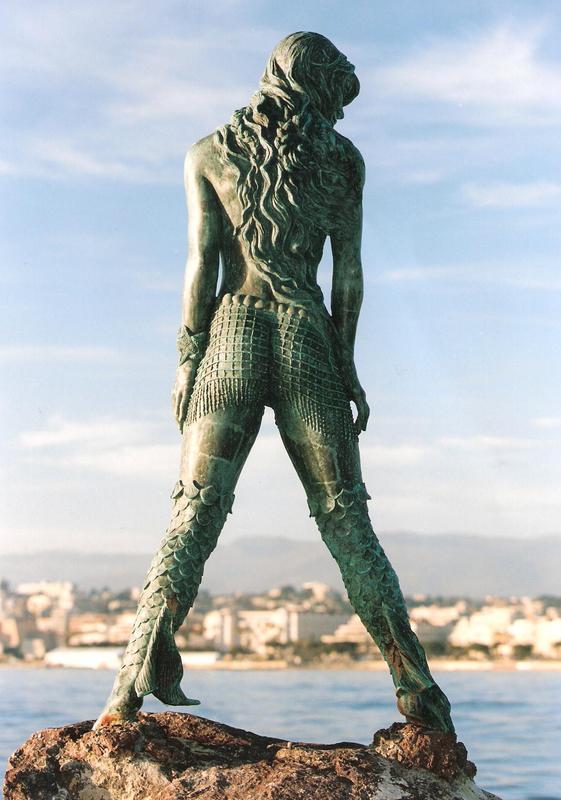 Atlante, Mermaid statue in Port Canto, Cannes. Photo © by Phil-eye. 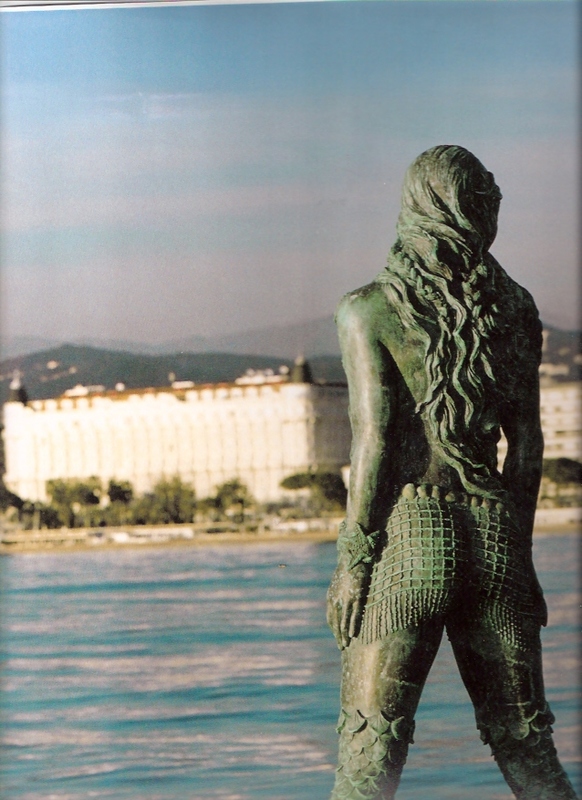 Face of ‘Atlante’ Mermaid Statue in Cannes. Photo © by Amaryllis. 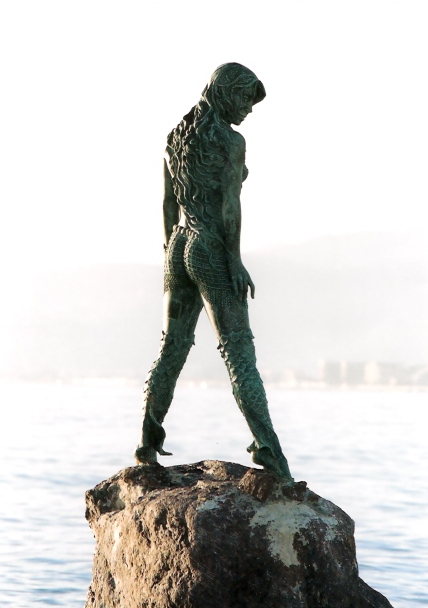 ‘Atlante’ Mermaid Statue in Cannes. Photo © by Amaryllis.